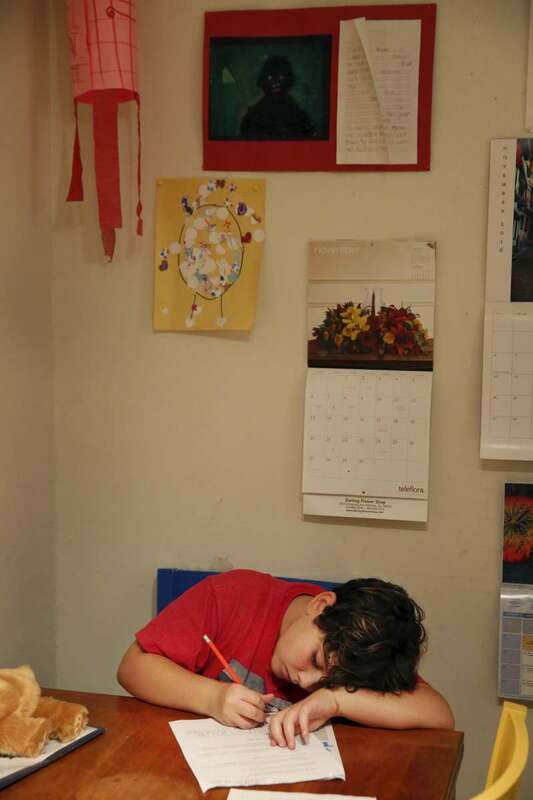 James Kaplan, 8, does his homework at the kitchen table Nov. 3, 2016 in Berkeley, Calif. Above him, a portrait he drew of a gorilla is seen posted on the wall. Before he came out to his parents, he used to say that he was half boy, half girl and half gorilla. He described his emotions inside feeling like a "wild gorilla".